It's Flashback Friday, Hurricane Sandy edition. Dear readers, after the events of this week I'm afraid I'm running a little dry [sorry!] 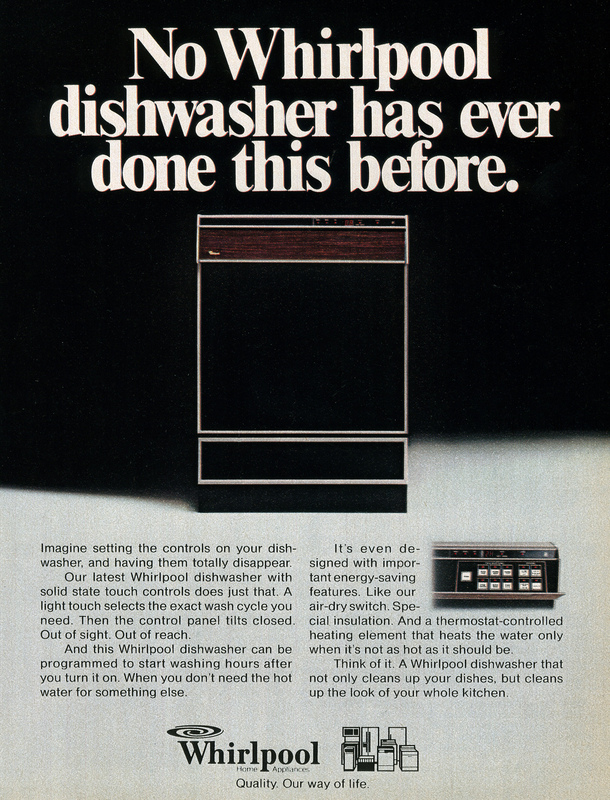 on the snappy/pithy commentary about Ye Olde Appliances. In fact, I'd welcome the most outmoded of any of them right now, as the storm-induced power outage stretches on with no end in sight. 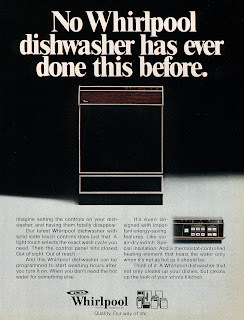 In the meantime, I think I'll make like the control panel on this dashing, 1970s-era dishwasher, and disappear for the weekend.